Chinese Quiz Maker allows the teachers and parents to generate Chinese vocabulary quizzes from a set of Chinese characters or words. 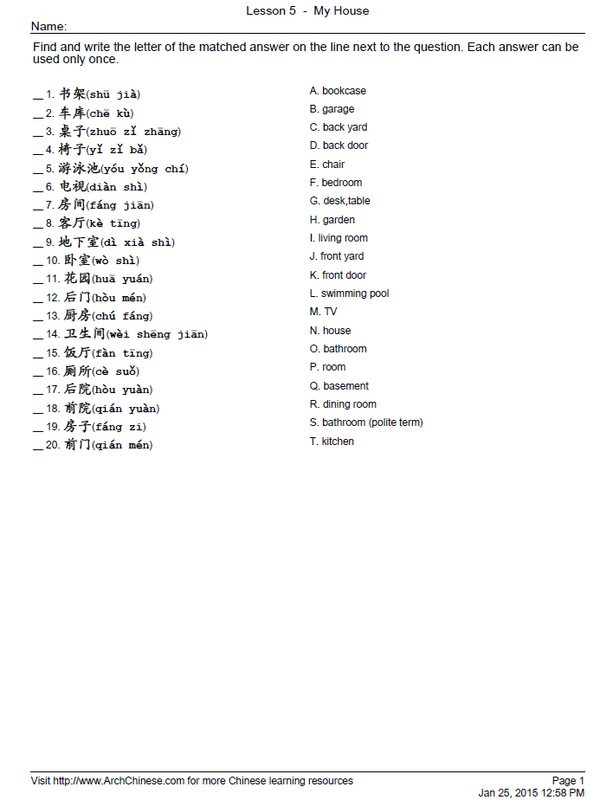 It is great for Chinese classroom use or having students practice at home the Chinese vocabulary or sentences they have learned at school. The system supports multiple choice, true/false and matching quizzes. 1. Add or edit the Pool of answer choices in the Settings section to provide your answer choices that will be randomly picked to use on the quiz sheets. If the pool is empty or too small, random entries from the Chinese-English dictionary will be used. 2. Based on your students' Chinese level, you can change the default settings to set the quiz difficulty level accordingly. 2. Quiz Type: Multiple Choice True/False Matching WrittenNew! Enter the title of the word list you are using. The title will be shown at the top of the generated quiz sheets and an unique title is needed to save the word list to the server. Enter the Chinese character or word. You can copy or paste Chinese text from other sources, such as web pages or word documents, or enter them using your faovorite Chinese Input Method Editor(IME). Enter the definition of the Chinese character or word in English (or your native language). You can click the E button to let the system fill in the definition for you if the Chinese is a single character or a commonly-used word. Click the P button to add Pinyin automatically. In the case there are multiple pronunciations for a particular character, the system will attempt to use the right one based on its context. In some cases, the user may have to edit it. Note Pinyin must be entered with tone numbers. When the quiz PDF file is generated, the system will convert them to tone marks. In addition, the Pinyin syllables must be separated by a blank space. Use v for ü, for example lv3 for lǚ, and number 5 for the neutral tone, e.g. ma5 (吗). Click the Add Rows button to add more word entries. The system needs at least 4 completed entries to generate a quiz. Optionally, adjust the default quiz maker settings, including the quiz and question types. Click the Generate Quiz button to generate a Chinese quiz sheet. Optionally, click the Save button to save the entered or imported word list to the server for future use. If you have already created the vocab list and saved it into our server before, it will be listd in Saved Vocab Lists box on the right side of the page. You can simply click the list name to load it and click the Generate Quiz button to generate a quiz sheet. Note that this site uses a pop-up window to display the geneated quiz PDF. If your browser is configured to block pop-ups, you will need to allow www.archchinese.com and service.archchinese.com to open pop-ups.